The Gold View Apartment – The impressive skyscrapers which combines among commercial, service as well as modern apartments, look like a stunning and monumental castle penetrating the blue sky. 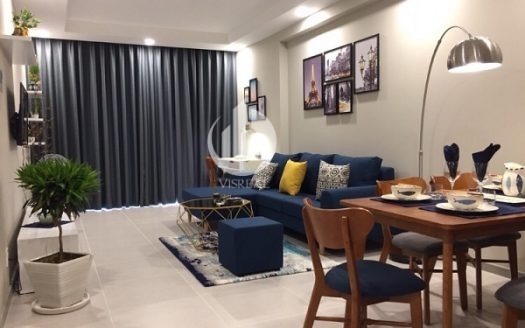 The Gold View Apartment For Rent is a beginning milestone to a new life with a completely different experience, a perfectly high living standards space to align with the quality of life. 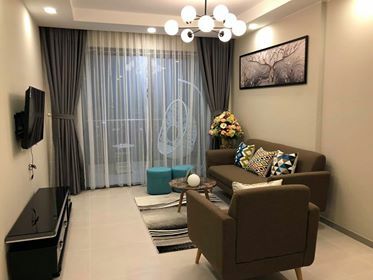 As its name , The Gold View Apartment For Rent is luckily located on the beautiful façade of Ben Van Don Street, District 4 which is opposite to the the fresh green canal and Vo Van Kiet boulevard and nearby the largest financial centre in District 1, Ho Chi Minh City. 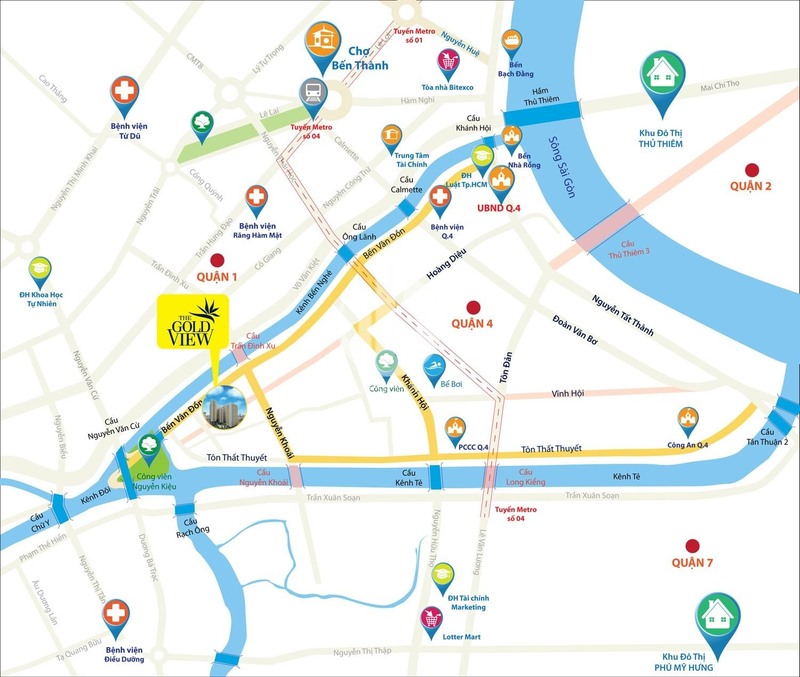 The specific location of The Gold View Apartment is 346 Ben Van Don, Ward 1, District 4, Ho Chi Minh City. 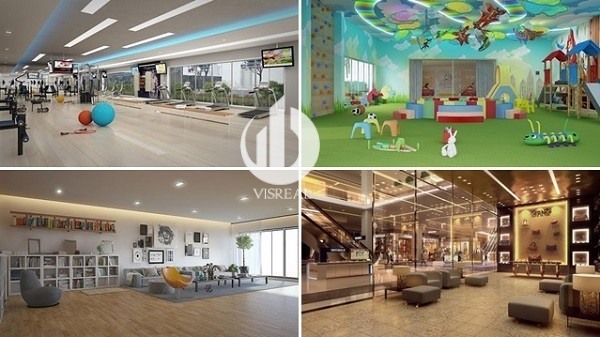 From here, you can move fast, directly and interact conveniently with the popular commercial services such as heath care services, education development, food, entertainment …. 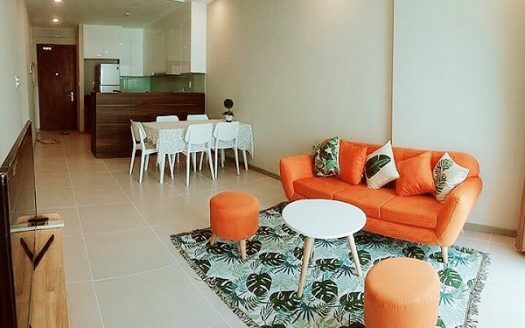 With the competitive advantages above, The Gold View Apartment For Rent confidently pleases all the fastidious customers and contributes significantly to create an effective investment channel for investors. It takes 10 minutes by bike or cards to go to District 7 : International French – Vietnamese Hospital, Nursing Hospital, Lotte Mart Supermarket, Financial – Marketing University, Ton Duc Thang University, Phu My Hung Luxurious Residental Areas. 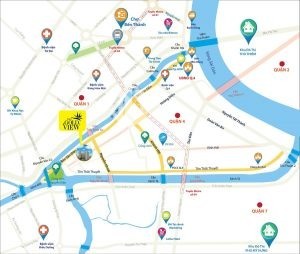 Tran Dinh Xu bridge from Ben Van Don – Nguyen Khoai to Ben Nghe canal connects District 1 and District 4 in such an easy way. 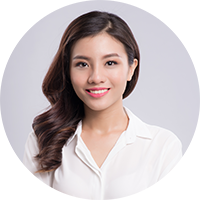 Address: 346 Ben Van Don, Ward 1, District 4, Ho Chi Minh City. The Gold View Apartment is designed by Korn (VN) Ltd – Korn Architects of Germany, invested by TNR Holdings Vietnam and May Diem Company. 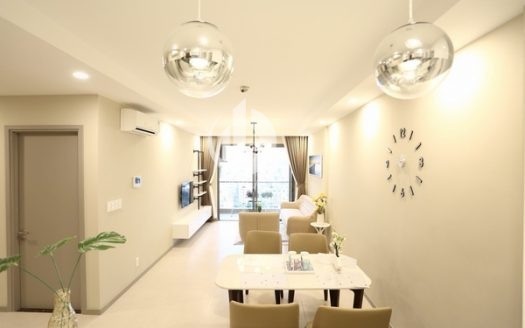 This is one of the most reputable and biggest brand in the world as well as in Vietnam, so the apartments at The Gold View Apartment are designed elegantly, harmoniously, modernly as well as enhanced convenience with open space which can welcome natural sun and wind easily. The Gold View Apartment is the biggest – scale projects and invested transparently in District 4 with the over 2.3 ha land fund and 40% building converage ratio, the rest of them are green park, swimming pool, luxurious shopping mall and shopping centre… and 2 towers : tower A with 33 floors and tower B with 27 floors. 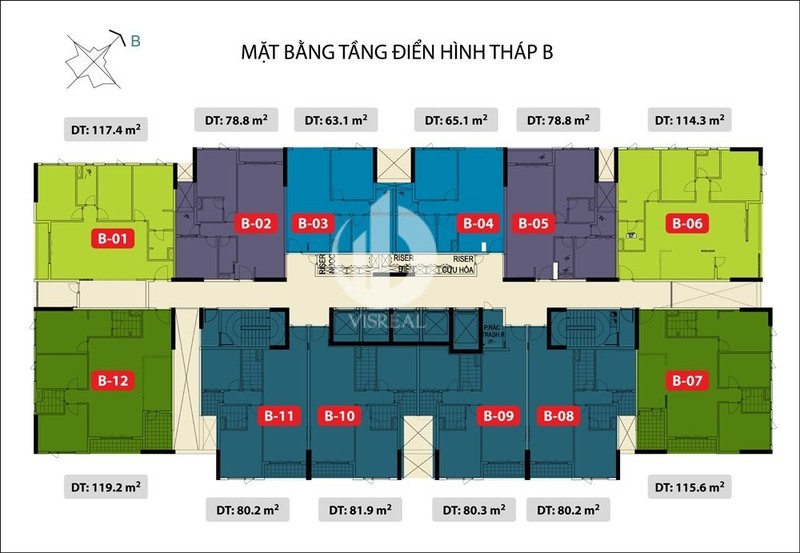 Apartment area: Designed by the owner to suit the living needs of the majority of HCMC residents in particular and Vietnam in general, with the area ranging from 50 – 132 m2 for the type. 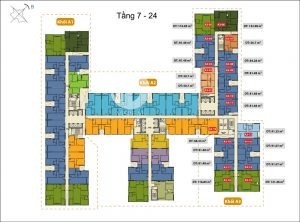 Apartments are from 1 to 3 bedrooms. 2 bedrooms apartment for rent in The Gold View Apartment : 68m², 74m², 81m², 85m², 92m², 93m². Apartment layout: Apartment for rent in The Gold View are reasonably arranged and have good feng shui, not only bring harmony to the apartment but also bring the fortune of your family members. 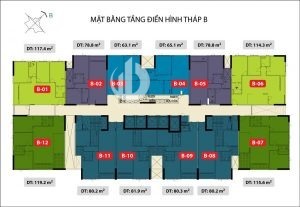 Three bedrooms (115 m2 -120 m2) apartment for rent budget from 900- to 11400 USD per month. 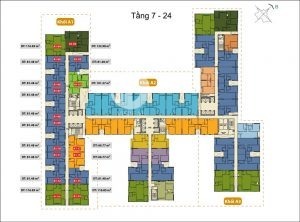 – 750 sqm hanging garden and 25th floor block A. – Basement parking is wide open each apartment has a parking space and 2 motorcycles. – The 18,000 square meter commercial center meets the most demanding living needs of the residents. 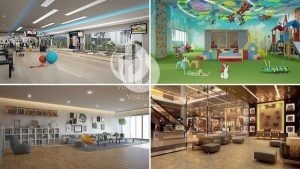 – Community living area with Gym, Yoga areas or relaxing reading room. – High Speed ​​Elevators, fire protection system according to international standards. – Professional management services, security is guaranteed 24/24. 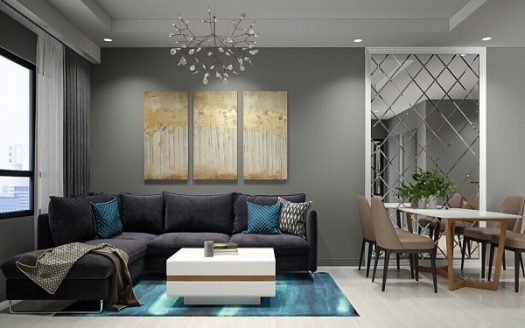 Bonusing along with the utilities are modern and elegant design, which is not only enhance the high living standards but also to make you relax and happy when coming home after a hard working day. 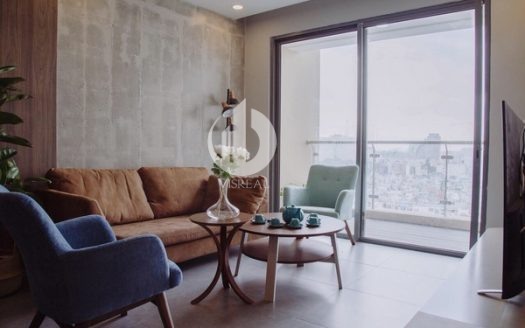 The lay-out of The Gold View Apartment always trys to orient the entire city view, perfectly and carefully mixed with delicate and detailed interior design to make The Gold View become a worthy place to live. 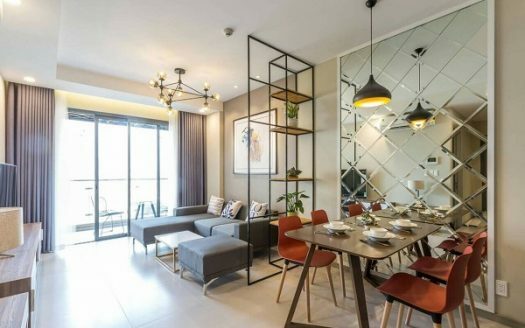 Fall in love with this The Gold View Apartment At first sight ? Email : info@visreal.vn for further more information. 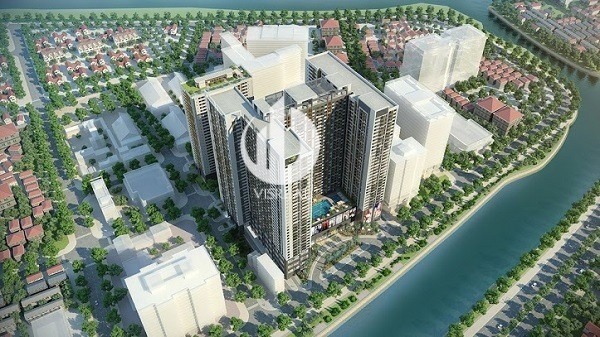 Gold View Project – Designed in a modern style, Full Furniture, 92sqm, 2Brs. 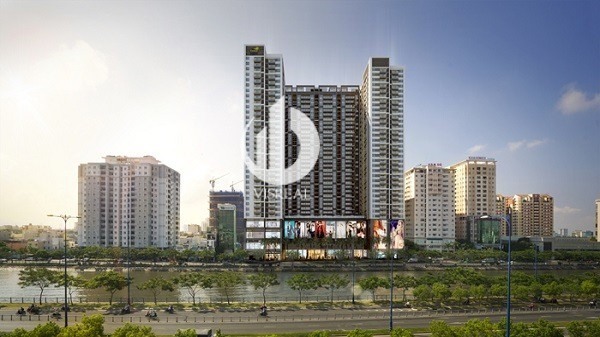 Gold View Project – Simple Design, Modern & Full Furniture, 80sqm, 2beds. 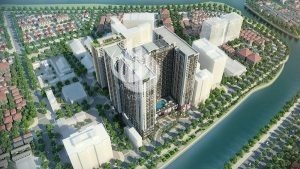 Gold View Project – Gorgeous Decor, Nice Interior, 80sqm, 2beds, 1100USD. 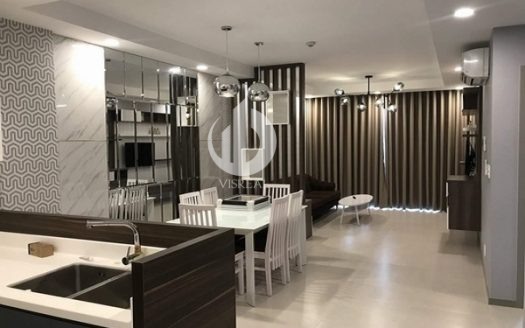 Gold View Project – Modern Interior Design, Nice, Full Furniture, 71sqm, 2Brs.